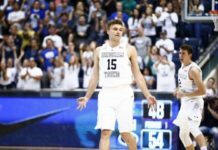 The BYU Cougarettes have won a national championship 19 times. 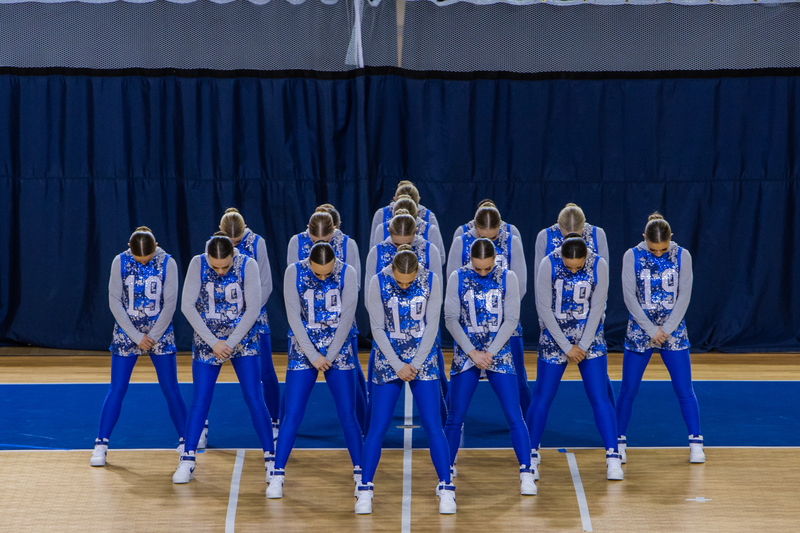 That’s right — the all-female dance crew that often entertains the crowd during BYU basketball and football games has been crowned the nation’s top dance squad 19 times, including twice this year. 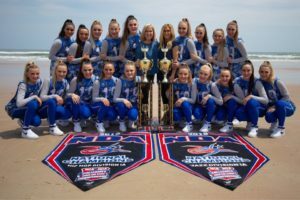 The Cougarettes won a coveted double championship at the National Dance Alliance nationals meet in Daytona, Florida, on April 5-6, solidifying the team’s legacy of dancing dominance. While it might seem impossible to top the nation’s highest honors, this year, the Cougarettes hope to do just that. The team is uniquely poised to win something no Cougarettes team has won before — a world championship. The International Cheer Union selected BYU’s own to represent the U.S. at the upcoming international meet on April 24-26 at the ESPN Wide World of Sports Complex at the Walt Disney World Resorts in Orlando, Florida. Longtime Cougarettes director and coach Jodi Maxfield said she is honored to be the coach of the country’s 2019 representative dance team. For the multiple-time championship coach, the application process for the spot as the national team was unique but fulfilling. Maxfield had to review and compile the team’s many accomplishments as part of the selection process. Maxfield noted most dance teams like the Cougarettes don’t do nearly as many non-competition performances and media appearances as the Cougarettes. 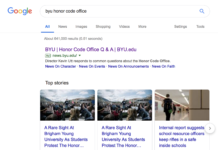 The viral videos with BYU’s beloved mascot, Cosmo, were one of the biggest factors in the team’s selection as the U.S. National Team. Their most recent video, released just six months ago, featured the Cougarettes performing at a home football game with Cosmo. The dance routine, performed to Drake’s “In My Feelings,” was incredibly popular, receiving over 860,000 views on YouTube. Maxfield brought in Shaye Edwards, a recent graduate and team veteran, for 2019 to help with the team’s foray onto the world stage. Edwards’ quick inclusion may come as a surprise to many, as the team veteran’s presence is a stark contrast to the team’s newest additions, the 10 new freshmen. The new team members, who make up the majority of the Cougarettes’ 19-dancer roster, have made an indelible impact on the team’s dynamic. Edwards also noted the increased unity she feels in the team this year. She said this is due, in great part, to the new teammates’ efforts. The team’s theme this year was “One,” which proved to be the unifying call to action the team needed to boost its preparation to the next level. Annika Petersen, a freshman on the squad, echoed a similar sentiment about the team’s unity. Petersen’s optimism for the team’s upcoming appearance on the world stage belied the challenges and setbacks she and some of her teammates have experienced. Just like any other high-level athletes, the Cougarettes have fought through both injury and illness over the course of the school year. Petersen couldn’t join her team’s rehearsals for weeks after a seemingly small injury at an earlier performance left her with a debilitating leg infection. Though the illness forced her out of some of the team’s most important practices for the coming competitions, the now fully-recovered Petersen said she is just happy to be back with the team. Petersen wasn’t the only team member who experienced setbacks that threatened her participation in the team’s biggest-ever performance. 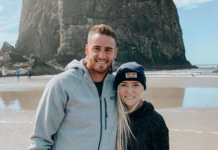 Fellow freshman and Alpine, Utah, native Lauren Billings also found herself injured at one of the worst possible times. Billings dislocated her shoulder in a freak accident while doing a trick during the team’s send-off dress rehearsal and performance last Monday, April 1. Cougarettes friends and family attended the performance, which happened just days before the nationals meet. It was a harsh reminder to all of the demands of competing in the fast-paced sport of dancing. Billings, who was hurried out of the venue shortly after the performance for a medical examination, was still hopeful and optimistic. Billings made it clear that although her untimely injury threatened her participation in the upcoming meets, she trusted in her team to make it work. Billings recovered enough to perform with the rest of her team at the national meet, although Maxfield had to make some short-notice adjustments so Billings could still participate in the dance that injured her. Three-year team veteran and team captain Emry Wride holds many of the same feelings as Billings. Wride’s trust in the team is also based on the high level of unity the team has developed this year. Wride also spoke about the team’s special nature. 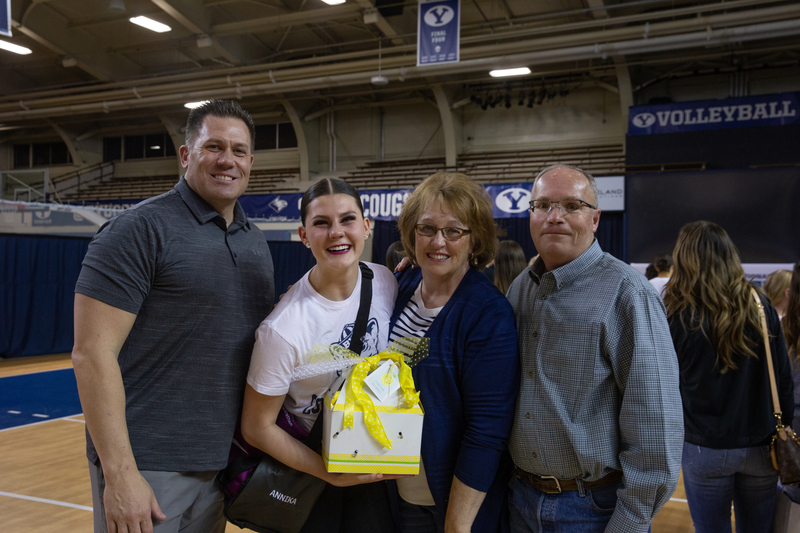 She said teams with that level of unity, while rare, are the foundation of how the Cougarettes create the magic the BYU community sees time and time again. 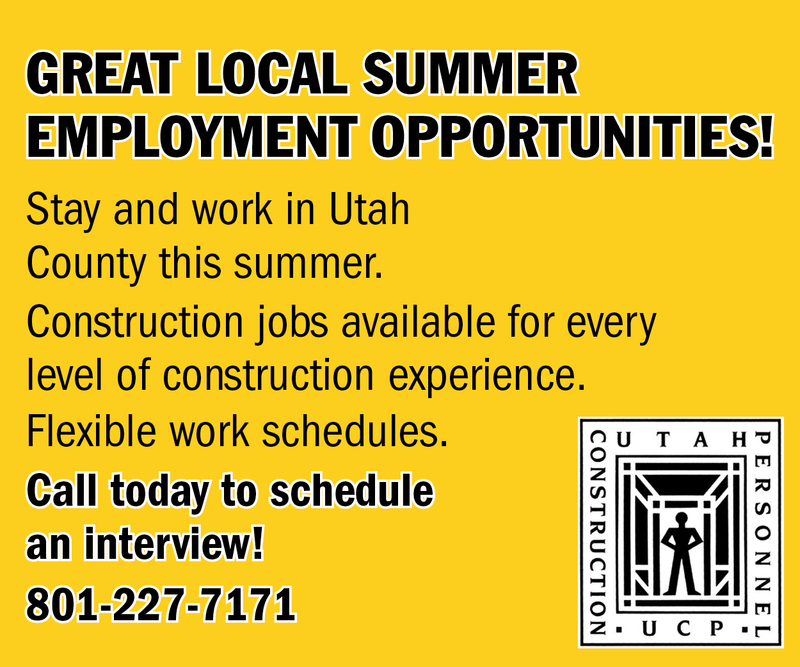 Robert is a senior in the BYU Public Relations program. When he isn't writing, he enjoys combat sports, food, and listening to music.